If you’re facing down a fashion emergency on game day, the team at Anytime Tees is ready to help. Winner of the Omaha Chamber of Commerce’s December Small Business of the Month Award, Anytime Tees is a comprehensive customization business that caters to any occasion. The business was nominated directly through the Chamber of Commerce, owner Rachel Nagunst said. Having been a Chamber member from the start of her business, Nagunst saw the value immediately during orientation. Beginning in spring of 2010, Nagunst started her business working out of her own home with simply a hot press and vinyl cutter while working part-time and learning the trade at another T-shirt vendor. With a degree in Sports Management, Nagunst coached basketball and softball for 10 years and brings that experience to her printing enterprise. Because of her connections with high schools and coaches, she was easily able to establish relationships with teams to provide T-shirts, logoed accessories and other items for high schools. However, Anytime Tees doesn’t just help with high school teams. Promotional T-shirts, lanyards, keychains, customized embroidery and any number of items can be created at the drop of a hat for events or businesses. They embroider hats, polos and jackets as well as produce digitally-printed promotional logos such as banners, decals and even license plate frames. In fact, Nagunst has seen to it that orders of all sizes are easily accommodated. For a soccer mom without a hoodie or a dad missing his favorite logo T-shirt, Anytime Tees maintains a database of logos on file, should a fashion emergency come up before a big tournament. She chooses HTV for on-the-spot orders because it is less labor intensive while still fusing the logo directly onto the fabric. For large orders; however, Nagunst uses screen printing. It’s the most well-known method that produces a long-lasting effect, but requires additional steps to complete. Anytime Tees offers, “just about any kind of customization,” Nagunst said, and is growing and improving their processes. Clients are now able to proof, pay for and approve their final products online, as opposed to visiting the store each time, but are welcome and encouraged to drop by anytime. Always considerate of her clientele, Nagunst’s reasoning behind her method is “always trying to make things as easy as possible for the customer,” rendering the process leading up to receiving the product as seamless as possible. She tries to work with every customer that orders. Anytime Tees has expanded to its second location at 1034 Wright Road in Council Bluffs where they are conveniently open until 7 p.m. during the week to accommodate parent, teacher and coach schedules. Now open Monday through Friday, they may possibly be offering Saturday hours in the future. “Since we have a lot of schools, we do it so coaches are able to pick up after practice,” Nagunst said. For more information, peruse their website to see what they have to offer your team at http://www.anytimetees.com. Struggling with weight loss is a common issue that affects people of all ages, genders, and body types. Rosalie Joy of Eustis, Nebraska, has made it her mission to help others reach their weight loss goals. To help her clients get where they want to be, she uses her expertise and coaching skills in conjunction with Suddenly Slim® products. “I’ve always watched my weight, from a very early age,” Rosalie recalls. “I started my first diet when I was 14.” Whatever methods you’ve used to try to lose weight, she has probably tried it, too—Weight Watchers, low-carb diets, stringent calorie-counting, and countless other strategies. In the 1980s, she and her husband decided to begin preventative maintenance and “take care of our bodies in a way that would honor God,” says Rosalie. Desiring a more holistic approach, Rosalie decided to start eating healthier foods and taking supplements rather than medications. After years of fluctuating weight, Rosalie was introduced by a friend to the Suddenly Slim program (manufactured by FirstFitness Nutrition®). Rosalie was initially skeptical, but her doubts were soon erased when she started noticing visible results of her own. Through personal research, she has learned that, in order to fully absorb nutrients from food, the body needs to first be free of toxins and bacteria that can slow metabolism and hamper the digestive system. Suddenly Slim is a shake-based program, but participants also eat real food from day one. They also offer a supplement that curbs cravings by simulating dopamine in the brain. Their meal plan is modeled on the one designed by the American Diabetic Association. Their shakes are perfectly balanced for people with diabetes and are ideal for a quick meal. Suddenly Slim offers three different programs to suit individuals with different dietary needs and weight loss goals. Rosalie understands the skepticism people might feel about trying yet another weight loss program; she was initially skeptical, too. What Rosalie brings to the table is her personal success—she doesn’t just sell the Suddenly Slim program; she lives it every day. Having found something that truly worked for her, she wanted to share it with others. “If I could find something that helped me, I knew I could help other people,” she asserts. “When I was able to keep the weight off, it was life-changing.” She enjoys the benefits that FirstFitness Nutrition promises, including greater energy and a more consistent mood. If you’re ready to lose weight and keep it off, schedule a nutrition consultation today! Rosalie is ready to help you meet your goals. Find Rosalie online at coachrosaliej.com. Main Street Studios & Art Gallery is located in the heart of downtown Elkhorn, at 2610 North Main Street. It’s not just a place to view artwork—local artists work in the gallery, explain their process to visitors, and display their work for sale. “We really do have something like an artist co-op,” says owner and operator Tyler Curnes. “I love the concept of Hot Shops in downtown Omaha, but we didn’t really have anything like that in Elkhorn.” Tyler began seeking local artists who had the passion to come into the gallery every day to work and to give visitors an idea of the artistic process. The building stood empty for four decades until Tyler bought and remodeled it in October 2014. The gallery is now a stunning celebration of its own history. A garage door sports multiple windows from the days of being a car dealership and garage, while massive wooden beams and high ceilings remain from its days as a livery stable. Even the cement floors pay homage to the building’s history as a Chevrolet dealership. with glass. He discovered his interest in glass-blowing when he spent a summer in Europe during college and met a glass-blower there. Working with glass takes extreme patience, he explains, because of the amount of time it takes to heat and cool. One piece, in fact, had to stay in the kiln for an astonishing 560 hours at 900 degrees! David Biehl, a sculptor who creates all his bronzes in-house, was a veterinarian for 40 years. Currently, he is working on a life-sized statue of Miguel Keith, an 18-year-old soldier who was killed in Vietnam after saving his entire platoon. After approximately 300 hours of work, the statue will be erected in South Omaha, where Miguel grew up. Artist Levent Oz, otherwise known as “The Silver of Oz,” has been working with silver and gold for over 30 years. Growing up working in an antique store, he began working with vintage jewelry in his youth and enjoyed making his own pieces from silver and gold. From hand-wrapped arrowheads to custom pieces, Levent provides an “unusual place for unusual jewelry” for those looking to expand their collections of custom jewelry. In fact, Tyler’s mother had purchased Levent’s jewelry in the past. When Tyler established Main Street Studios, he immediately called Levent to join the group. Ashley Spitsnogle is the newest artist to join Main Street Studios. She specializes in oil painting. She loves using local themes, and she paints a live bovine subject every year at the Cattlemen’s Ball. Ashley produces pieces of art that commemorate important moments in Husker history and is licensed to do so by the Huskers. She also does commissions, does live painting for up to four hours at a time, and creates hand-painted wine glasses that are perfect for gift-giving. When asked about her chosen medium, Ashley says, “I like oil, but it takes forever,” referring to the amount of time a painter must wait for a piece to dry. A canvas must sit for days before she can even go back to make corrections or changes, and it takes more than a week for a finished piece to dry. Jane Kathol completes the group of five at Main Street Studios and has known Tyler for over 20 years. Jane is an art teacher in the Elkhorn schools, and she comes to work in the studio every afternoon. Jane creates Jackson Pollock–inspired acrylic abstracts that constantly grab the attention of visitors. A great portion of her work also features colorful florals and elaborate skylines—she loves the Nebraska plain. For more information about Main Street Studios & Art Gallery, drop by downtown Elkhorn or call 402-452-3088. You can find them online at mainstreetstudios2610.com. At 17445 Arbor Street, Suite 100, Foundation One Bank is conveniently located to provide services to residents of West Omaha—but that’s not all. With 26 employees and three locations throughout the city, Foundation One continues to grow at a steady pace. As they serve more and more customers across the area, their dedication to customer satisfaction does not waver. Foundation One Bank was established in 2009 when Randal J. Burns, President/CEO, and a group of investors purchased Western State Bank in Waterloo, Nebraska. Ann Fuller, a recent addition to the Foundation One team commutes from Glenwood every day because of her passion for Foundation One’s philosophy. Originally from Colorado, Ann chose Foundation One because of its family dynamic, community outreach, and dedication to each individual customer. “You want to work for a bank like that,” she says. In her previous positions as a loan officer with other organizations, Ann says, the process was not so personal. They just had boxes to check for loan applications, and if one of the boxes wasn’t checked, “you’d put it in the computer and it would almost always decline for you.” However, at Foundation One, personal relationships are established between bankers and their clients. This can sometimes mean having extremely candid conversations with clients to help them achieve financial stability or take out a loan. It creates a dynamic of trust and the ability to look at the bigger picture. In their daily practice, the employees at Foundation One demonstrate their understanding and dedication to client satisfaction. In fact, Molly notes that the most rewarding part of her job is being a part of the “firsts” in her clients’ lives. This might be something like a client’s first checking account, car loan, or mortgage. In a world where technology rules, Foundation One seeks to remain accessible and keep up with current trends. While younger generations may prefer not to go into a brick-and-mortar building, Foundation One still seeks to establish individual relationships with their clients. “We provide sound advice and make smart decisions for people who live and work here locally,” says Molly. The banking industry is challenging, with banks opening on every corner. To stay on top, Foundation One continues to practice their high level of customer service. “As we grow, our challenge is to find people who share our core beliefs, philosophy, and vision, so that we don’t lose sight of those things,” Molly explains. At Foundation One, their overarching goals are to thrive and to help their customers achieve financial stability, and they believe their dedication to serving everyone in their community is unparalleled. For a community bank you can trust with all your banking needs, contact Foundation One Bank today at 531-215-0066. For more information on the financial services and advice provided at this community institution, visit them online at foundationonebank.com. LifeLoop’s user-friendly interface allows calendar management, resident tracking and reporting with the ability to live stream and share photos, plus check transportation and home maintenance requests, with the convenience of a secure, online platform. From skilled nursing to independent living, LifeLoop comes in handy for a wide variety of clientele. Family members who live out of town or want to be more involved in their family members’ daily lives are able to check in via smartphone or tablet. Independent residents can also make notes, send their own messages and communicate with their loved ones with just the click of a button. Amy Johnson, CEO and cofounder of LifeLoop, started the business with her husband, Kent, and Phil Lee in 2015. This experience caused Johnson and her cofounders to explore the need for a comprehensive service for nurses, staff, residents and family. As time went on, it evolved into a “much better platform,” Johnson said. Knowing there is a 45-percent turnover rate in skilled nursing staff, LifeLoop maintains all the resident records in one consolidated portal so everyone can remain in-the-know, regardless of staff turnover. Currently in 28 states, LifeLoop’s goal is to expand their work to all 50. With three cofounders from vastly different backgrounds, LifeLoop strives to set itself apart with a philosophy of solution-driven excellence that provides the best result for each client. Johnson, who worked with Mutual of Omaha for eight years, used that experience to prepare for her current position as CEO. Kent, a commodity trader, and Phil Lee, an attorney, brought other complementary skills to the company. Their mission is simple and pure: “To simplify things for all the staff, residents, and families by creating a platform to do so,” Johnson said. Winning the Omaha Chamber of Commerce’s Small Business of the Month Award has been an unexpected acknowledgement of all LifeLoop’s hard work. Having joined the startup community supported by the Chamber, LifeLoop received exposure to a wide variety of local organizations. After a time in the senior care community, Johnson has advice for fellow business owners. If you or a loved one need to be kept in the “Loop” with their relative, visit LifeLoop’s comprehensive service page at https://ourlifeloop.com/features/ or call 402-915-3860 to set up a consultation. October is Adopt a Shelter Dog Month, which means now is a great time to bring home a pup in need! Dog rescues and shelters are constantly tasked with finding homes for millions of animals who need a family. An astounding 6–8 million animals are taken into shelters each year, and only half of them will leave to another home because of sheer overpopulation and lack of resources. That’s barely a drop in the bucket of the approximately 70 million stray animals currently out there! Volunteering, fostering, and adopting these fur babies are great ways to get involved and save lives. Animal shelters are sometimes criticized because of their “kill” or “no kill” categorization, but such labels don’t fully explain the situation, and this emotionally charged language does nothing to serve the overall good. The bottom line is that adopting a dog from a shelter—any shelter—or a dog rescue saves a life, and it can greatly enhance yours! Dog rescues provide essentials to their residents every single day. From spaying and neutering services to microchipping and vaccinating, rescues across the country are essential to the well-being of animals and the battle against overpopulation. Not only do they perform these expensive services prior to adoption, they are often done at no cost to potential adopters! As an added bonus, adoption fees go straight back into helping other dogs find loving homes of their own. If only a purebred will do, there are plenty of rescues dedicated to specific breeds! In this case, you’ll get the dog of your dreams while saving another life. Many of the dogs in rescues and shelters are older dogs (at least, they’re not puppies). Puppies are definitely cute, but there are a lot of advantages to adopting an adult dog. Are you looking for a dog that won’t take away your beauty rest or chew your shoes? An older rescue dog is the perfect solution! Many times, busy families don’t have the time to train a puppy. Shelter dogs are already trained and housebroken, so there are no messes to fret over. Older dogs also sleep through the night, contrary to their small-bladdered puppy compatriots, who are prone to waking at 2, 4, and 6 o’clock each morning for a potty break. Adult and senior dogs are also more likely to be done with their “chewing” phase. That said, if your heart is still set on a puppy, don’t worry—shelters are brimming with them! Some people may fear that a stray or a dog that has been “rescued” from a bad situation may not behave well, but most rescue dogs end up making excellent companions. They are known to blossom once they know they’re in a safe environment, and they seem to show their gratitude in happy cuddles and bonding with their rescuers. These sweet pups are often openly grateful to those who give them a second chance at life. If you are a dog lover but aren’t ready for the commitment of adopting, consider volunteering a few hours at a local shelter. Why not spend a Saturday playing with dogs, helping clean up, or educating others about rescue dogs? There are so many ways to help pups in need, and every bit counts when every dollar means saving another life. Not only will you learn more about dogs, you’ll also achieve the satisfaction that comes from helping those who cannot help themselves. Short on time? Donations in all forms are always appreciated. Fostering a dog or puppy is another great way to help. This process makes transitioning into a forever home much easier for young or abused dogs while simultaneously opening space for more pups in the shelters. Animals that particularly benefit from fostering include pregnant females and puppies that are too young to be weaned or spayed or neutered. By keeping these dogs a bit longer, shelters can be sure their animals are in the very best shape when they are put up for adoption. If you are interested in adopting a furry family member, there is no better choice than a rescue dog. Typically, the older the dog, the smaller the adoption fee. 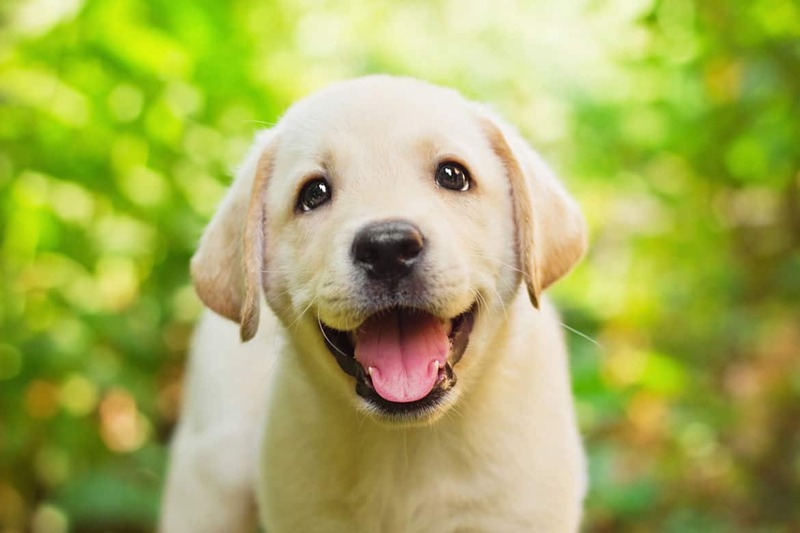 Puppies who are six months and younger tend to be in the highest demand, so they tend to cost more. Remember, however, that these fees are directly re-invested into helping other pooches find their forever homes. To find out more about how you can help, contact your local dog rescue or animal shelter today! With the mantra, “all good planning starts with goals,” Omaha native Jim Blazek knew from a young age that his goal was to become an attorney. His success, he says, can be attributed to some “happy accidents.” One of these was getting to know Creighton professor Barbara Pearlman, who pushed Jim to know all the ins and outs of estate and tax law by constantly calling on him for answers. In 1981, after Jim graduated from Creighton School of Law, he established Blazek Estate Planning. A unique aspect of Blazek Estate Planning is that they specialize in estate planning only. Rather than diversifying their services, the firm is dedicated to the production of quality documents to serve future generations. 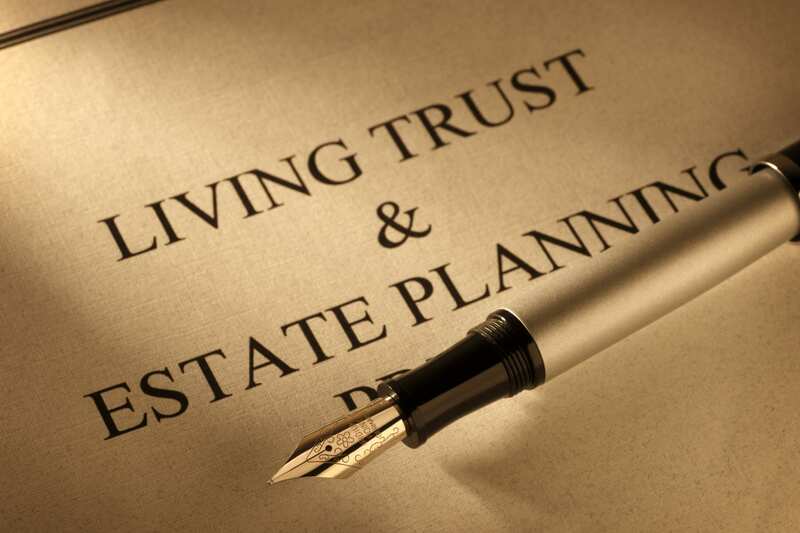 Offering estate planning creation, maintenance, and administration, Blazek Estate Planning specializes in only this area, ensuring that every “t” will be crossed and every “i” will be dotted. “Planning changes during the different seasons of our lives,” Jim notes. “A great tragedy is that people will start out with a plan and then never update it.” Large life events like marriage, parenthood, or significant accrual of wealth can change a person’s estate planning needs drastically. Being cognizant of life changes, of important updates, and of how your estate planning documents should grow with you is crucial to ensuring that you get precisely the protection that you need. Many clients first come in for simple wills. This is what Jim refers to as the “starter will,” which makes sense for people who primarily want to name guardians for their minor children. However, for those with over $500,000 in assets, Jim recommends setting up a revocable living trust, rather than a will based plan, because it can better protect assets over time. “Everybody loves Monday” at Blazek Estate Planning, Jim shares. The three attorneys and five support staff members will be relocating to a larger space in the coming months. Their newest attorney is Jim’s son, Paul Blazek. Paul is pleased to be following in his father’s footsteps at a firm that innovates on traditional strategies, provides a personal paralegal for each trust client, and even conducts phone calls with clients at no extra charge. “When we give our clients good value, then we all win,” Jim says, and that supports his “everybody wins” mentality. He and his firm are proud to maintain relationships with families from one generation to the next. Has your life changed recently? Has your estate plan changed with it? If you are newly married, have recently had children, are gathering wealth, or simply need to consult with an expert in tax law, contact Blazek Estate Planning today by calling 402-496-3432 or visiting blazekandgregg.com.